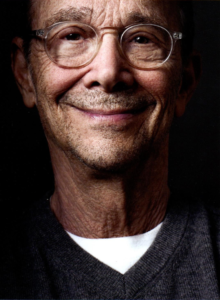 In a theatre career that was launched in the early 1950’s, Joel Grey’s credits include Chekhov’s The Cherry Orchard (Roundabout); Anything Goes; Wicked; Chicago; George M! (Tony Award nom. ); Cabaret (Tony Award). He was Ned Weeks in the Public Theatre’s original off-Broadway production of Larry Kramer’s seminal play, The Normal Heart, in 1986, and co-directed the Tony Award-winning Broadway premiere in 2011. Film credits include “Cabaret” (Academy Award), “Buffalo Bill and the Indians,” “Remo Williams: The Adventure Begins,” “Dancer In the Dark,” “The Seven Percent Solution” and many more. 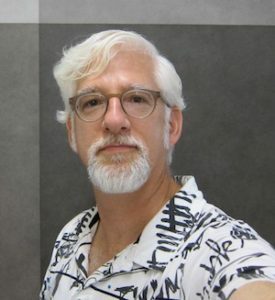 Joel is also an internationally exhibited photographer with four published books, Pictures I Had to Take (2003), Looking Hard at Unexamined Things (2006), 1.3 – Images From My Phone (2009), and The Billboard Papers (2013). His work is part of the permanent collection of The Whitney Museum of American Art. His memoir, Master of Ceremonies, was released in 2016 (Flatiron Press). Appeared on Broadway with Lee Theodore’s American Dancemachine, and in Don Quixote with Rudolf Nureyev; toured nationally in Fiddler on the Roof starring Theodore Bikel totaling 1,682 performances;directed and staged the musical multiple times. He danced with Boston Ballet, Metropolitan Opera Ballet, and Stars of American Ballet, toured worldwide with Nureyev, and has appeared on film and TV. His choreography has been seen on the New York stage, Off-Broadway, regionally, and abroad including the national tour of Me and My Girl tour, the Irish premiere of Best Little Whorehouse, My Antonia – LA premiere (music – Stephen Schwartz), and the film The Comedian. He received the “Excellence in Choreography” Award at the New York Musical Theater Festival for his work The Mapmaker’s Opera. Kmieć was the Artistic Director of Ballet Western Reserve. Recipient of Poland’s Oskar Kolberg Award; graduate of Tufts University (BA) and University of Marie Curie-Sklodowska (BA, MA); member: SDC, Actors’ Equity, SAG-AFTRA, AGMA. is the Artistic Director of the National Yiddish Theatre Folksbiene (NYTF) having revitalized the theatre into an all year Yiddish cultural performing arts center. As co-creator Mr. Mlotek brought Yiddish-Klezmer music to Broadway and Off-Broadway stages with the Tony nominated Those Were The Days (1991), On Second Avenue (1987) and The Golden Land (1984). 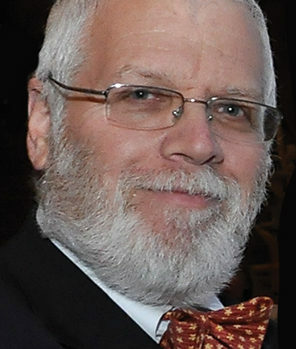 Over the past twenty years, his vision has propelled classics to life including NYTF productions of Di Yam Gazlonim (The Yiddish Pirates of Penzance, 2006), the world premiere of Isaac Bashevis Singerís Yentl in Yiddish (1998) and the 1923 Rumshinky operetta The Golden Bride which was nominated for Drama Desk Awards and listed as a New York Times Critics Pick (2016). As a leading authority on Yiddish folk and theatre music, he has taught and performed all over the world, worked with countless singers including Jan Peerce, Mandy Patinkin and Theo Bikel among others. His piano artistry can be heard in over two-dozen recordings and films. He is gratefully married to Debra Cohen, a pediatric occupational therapist, and proud father and zeyde. Broadway: Act One (Tony Award), The Scottsboro Boys (Tony Nomination), Therese Raquin (Tony Nomination), Come From Away, Meteor Shower, A Bronx Tale, Prince Of Broadway, Hand To God, Sondheim On Sondheim, ÖSpelling Bee , LoveMusik, Rock Of Ages, Chaplin, Bronx Bombers, Grace, The Two And Only. Broadway Revivals: On The Town, Sunday in the ParkÖ Off- Broadway: 100 shows including The Last Five Years, Sleepwalk With Me, and Miss Julie. 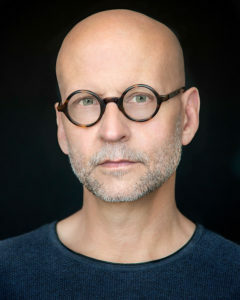 He has designed for The NYC Ballet and the Ringling Brothers and Barnum & Bailey Circus and around the world in England, Russia, China, Australia, and Japan. 2007 OBIE Award for sustained excellence. Broadway: more than 50 plays and musicals including: Sweat, Our Mother’s Brief Affair, The Country House, Love Letters, Beautiful: The Carole King Musical, Living on Love, No Man’s Land/Waiting for Godot, The Assembled Parties, Nice Work If You Can Get It, Wit, Venus in Fur, Anything Goes, A View from the Bridge, Grey Gardens, Contact, The Producers, Kiss Me, Kate, She Loves Me, Steel Pier. Extensive credits with companies such as Lincoln Center Theater, Manhattan Theatre Club, Roundabout, New York Shakespeare Festival (downtown and at the Delacorte), The New Group, Playwright’s Horizons, 2 nd /Stage, Classic Stage, Signature, The Vineyard, as well as 20 Encores! concerts. Regionally, he has designed productions for the Goodman, the Guthrie, Oregon Shakespeare Festival, La Jolla, the Ahmanson, the Geffen, the Old Globe, Seattle Rep, Berkeley Rep, South Coast, Hartford, Long Wharf, McCarter among others. Opera: the Met, NYCO, San Francisco, Houston Grand, Dallas, Santa Fe, St. Louis, LAMCO, Seattle. Abroad: Royal Opera, Scottish Opera, Canadian Opera, Opera/North, Edinburgh Festival, Maggio Florence, L’Arena di Verona, La Fenice, Bonn, Lisbon. For the film Birdman, he designed the lighting for the on-stage sequences shot at the St. James Theater in New York. Awards: Tony, Drama Desk, Outer Critics, Dramalogue, Ovation, Hewes. Broadway: Iceman Cometh, Falsettos, American Psycho, The Visit, Gentleman’s Guide to Love and Murder, Sondheim on Sondheim, A Little Night Music, Gypsy (Patti Lupone), Radio Golf, John Doyle’s production of Sweeney Todd, Gem Of the Ocean, Pacific Overtures, Assassins, Into The Woods, Topdog/Underdog, Dirty Blonde, Noise/Funk. 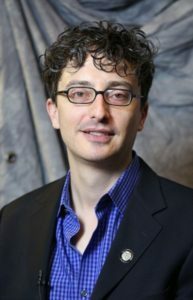 He is composing a musical with Brian Selznick (The Invention of Hugo Cabret) based on Brian’s book, The Houdini Box for the La Jolla Playhouse. Awards: 4 Tony Awards nominations, 4 Drama Desk Awards. Currently works as the Associate Artistic Director of the National Yiddish Theatre Folksbiene. Motl co-directed the NYTF production of THE GOLDEN BRIDE (Drama Desk Award Nominated: Outstanding Revival of a Musical and Outstanding Direction of a Musical). Other directing credits include the world premiere of Robert Brustein’s musical comedy THE KING OF SECOND AVENUE, THE MEGILE OF ITZIK MANGER, FYVUSH FINKEL LIVE! (Drama Desk Award–nominated: Outstanding Musical Revue), DI TSVEY BRIDER (THE TWO BROTHERS), THE PUSHCART PEDDLERS, and DI KSUBE (THE MARRIAGE CONTRACT and DI KISHEFMAKHERIN (THE SORCERESS) and DI KHASENE IN FERNVALD (THE WEDDING IN FOEHRENWALD) both of which were presented both at NYTF and at the State Jewish Theater in Bucharest, Romania.. Motl is a proud member of Society of Directors and Choreographers. He has appeared on stage in GIMPL TAM (GIMPEL THE FOOL) and with Theodore Bikel and Fyvush Finkel in DI KOMEDIANTN (THE SUNSHINE BOYS) and performs with Di Folksbiene Trupe (Traveling Troupe). Motl was an inaugural participant in the Translation Fellowship at the Yiddish Book Center and has been published in The Yiddish Forward, Di Pakn Treger (Yiddish Book Center) and Afn Shvel. Motl teaches Instant Yiddish and Shmues in Yiddish classes and is a guest lecturer on the history of Yiddish theater. Choreography Credits: Off-Broadway – THE GOLDEN BRIDE (Chita Rivera Award Nomination), AMERIKE – THE GOLDEN LAND, THE MEGILE OF ITZIK MANGER, LIES MY FATHER TOLD ME (The National Yiddish Theatre Folksbiene), THE KING OF SECOND AVENUE (New Repertory Theatre), SHERLOCK HOLMES – THE EARLY YEARS (NYMF), SOUTH PACIFIC (Lancaster Opera House). 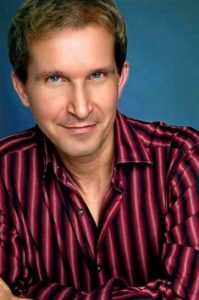 Director/Choreographer Credits: CHICAGO, THE WHO’S TOMMY, CHITTY CHITTY BANG BANG (Woodstock Playhouse), ROAR OF THE GREASEPAINT, SMELL OF THE CROWD (Lancaster Opera House), HIT THE DECK (Molloy College). Assistant Director: JESUS CHRIST SUPERSTAR (European Tour – Director, Baayork Lee). 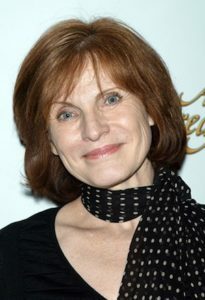 Is now in her 20th year as a professional casting director in New York. She was with Johnson-Liff Casting, Cameron Mackintosh, and Margolis-Seay Casting and is now on her own as a freelance casting director. Previous credits include the Broadway and National Touring Companies of such hits as Les Miserables, The Phantom Of The Opera, Miss Saigon, Cats, and Jane Eyre as well as two dozen other shows on Broadway. She also currently casts for Off Broadway, National Touring Companies and shows for prominent regional theaters and all of the major theater festivals in NYC. Her casting office is dedicated to the development of new plays and musicals. Current Casting Projects: Rebel Rebel: The Many Lives Of David Bowie (Tour), Burlesque To Broadway (Tour), Sistas: The Musical (Off Broadway), This One’s For The Girls (Off Broadway), The National Yiddish Theatre, Cleveland Musical Theatre and many more. CSA Member.